Known for its trendy and stylish collections while keeping fashion and comfort in mind, Liberty has come up with a new range of flats under its renowned Senorita brand. The new String Collection which pairs perfectly with casual skirts, traditional wear and denims is a perfect option to brighten up any occasion. Flaunt the rainbow tied at your feet without making much of an effort. These extremely fun and gorgeous stringy flats are sure to add pep in every step, this season. 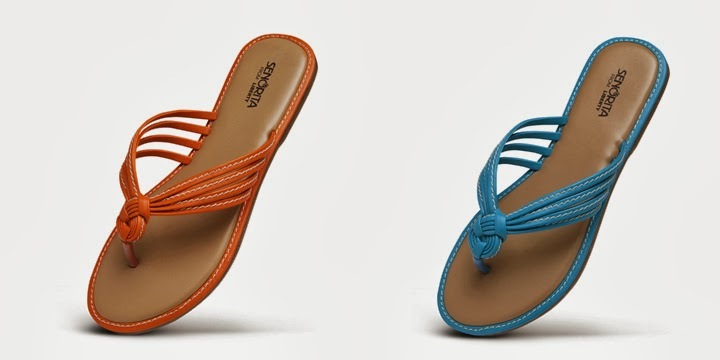 Senorita String Collection comes with embossed and kaleidoscopic strings which will keep the style sleek, while the elasticized rainbow strings, cushy insole, and textured outsole ensure you're stepping comfortably. When it comes to shoes which are both stylish and comfortable, Liberty is going to keep you bang on trend! Choose the best contemporary and trendy collection this season and look gracefully elite with the new Senorita range. Priced between Rs. 599 to Rs 1999, the new collection can be grabbed from your nearest Liberty Exclusive Showroom or Liberty Retail Revolutions. You can also visit the Liberty Shoes Online Store at www.libertyshoesonline.com and purchase shoes online.